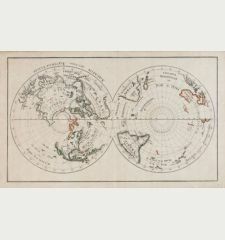 Nova Totius Terrarum Orbis Geographica ac Hydrographica Tabula auct: Guiljelmo Blaeuw. 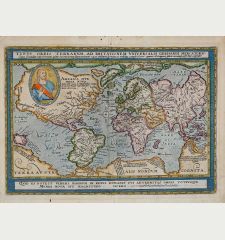 Old coloured world map with borders by Willem J. Blaeu. 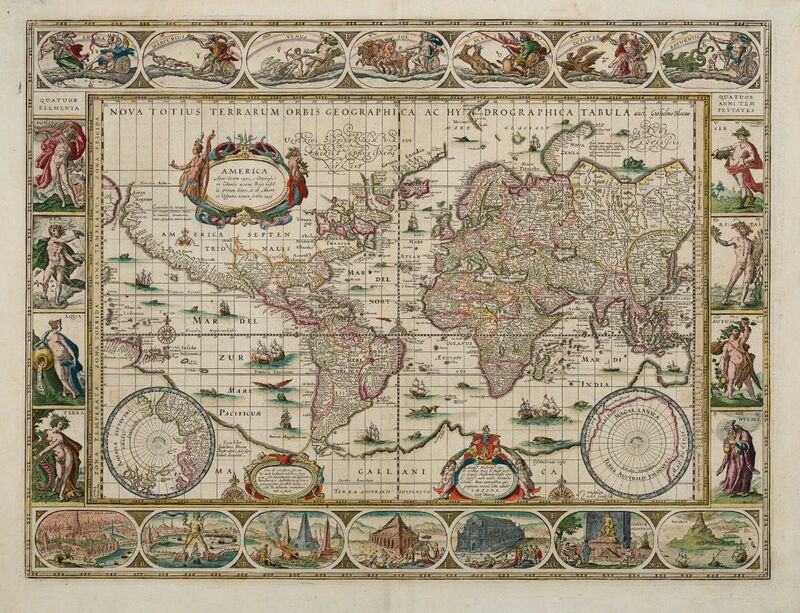 Published 1643 in Amsterdam. 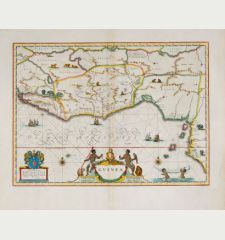 One of the Most Famous World Maps of Dutch Cartography with Stunning Old Colours. 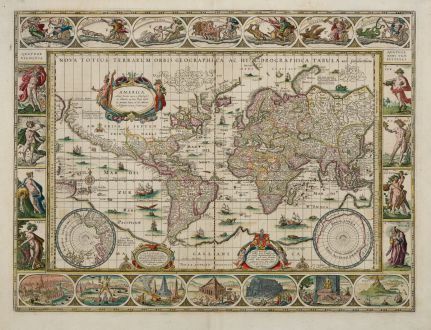 Perhaps the finest world map ever printed. 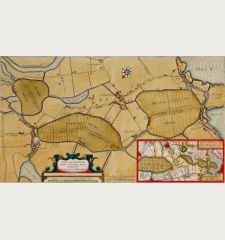 This map represents the apogee of seventeenth century Dutch cartography. 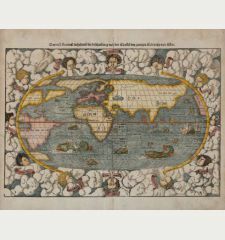 Willem Blaeu's world map with the decorative panels helped establish an iconography in the popular imagination which endures to this days. 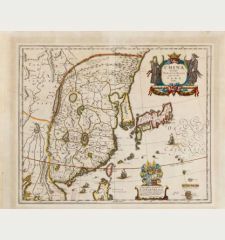 From the most expensive book published in the 17th century, an eleven-volume atlas containing 593 hand-coloured maps. 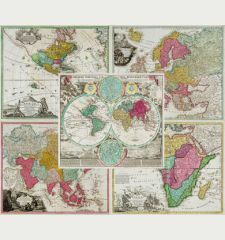 Classic single-sheet world map on Mercator's projection... celebrated as one of the supreme examples of the map maker's art... 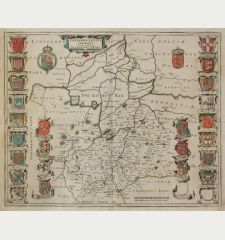 The map has been expertly reduced from the Blaeu's large world map of 1605. 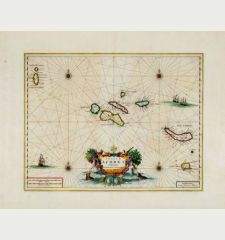 The engraver Josua van den Ende signed in the lower right corner. 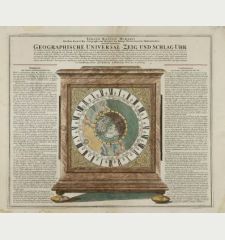 The most striking characteristic are the superb border decorations. 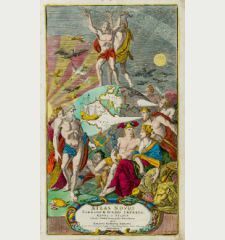 Along the top are allegorical of the sun and the moon and the known five planets - Mercury, Venus, Mars, Jupiter and Saturn. 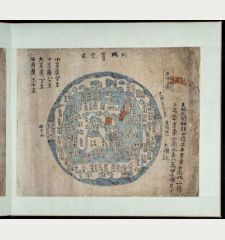 Down the sides are, on the left, four panels illustrating the elements (Fire, Water, Air and Earth), and on the right, the four seasons. 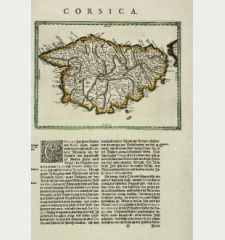 Along the bottom are seven vignettes showing the seven ancient wonders of the world: the Hanging Gardens of Babylon, the Colossus over the harbour at Rhodos, the Pyramids, the Mausoleum of Halicarnassus at Caria, the Temple of Diane, the Statue of Jupiter, and the conical lighthouse of Alexandria. 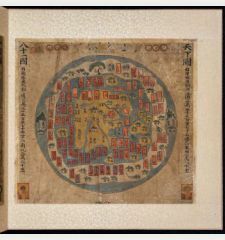 The map has decorative cartouches for the title, dedication and explanation, two spheres for the north and south poles, a compass roses and numerous ships and sea monsters. 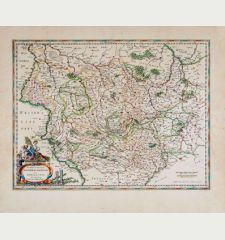 This is the fourth state of the map from a French edition of Blaeu's Atlas, printed between 1643 and 1650. 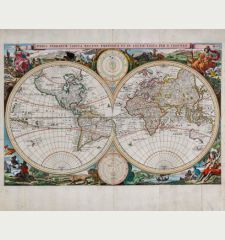 The map was replaced by a two hemispheres world map prepared by Willem's son Joan from 1658 onwards. 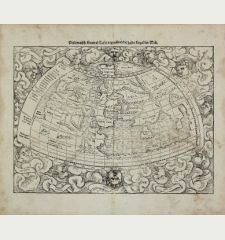 Title Nova Totius Terrarum Orbis Geographica ac Hydrographica Tabula auct: Guiljelmo Blaeuw. 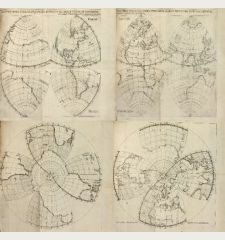 Reference Shirley, R. W.: The Mapping of the World, No. 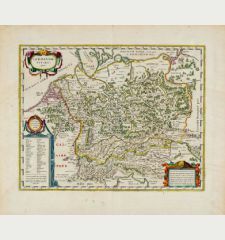 255; Van der Krogt, P.: Koeman's Atlantes Neerlandici, 0001:2A. 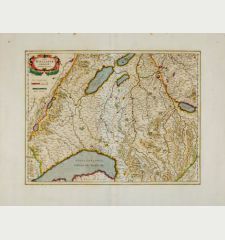 Excellent condition with beautiful old colour. 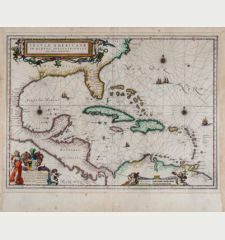 Willem Janszoon Blaeu: Nova Totius Terrarum Orbis Geographica ac Hydrographica Tabula auct: Guiljelmo Blaeuw..